In the second book of the Isle of Misfits series, Gibbon the gargoyle and his new mythical creature friends go on their first mission! Gibbon is new to an island full of mythical creatures with a school that is training him to go on missions to protect creatures in trouble. He and his new friends, a dragon, a fairy, a griffin, and a yeti, are chosen for their first mission to help a creature. 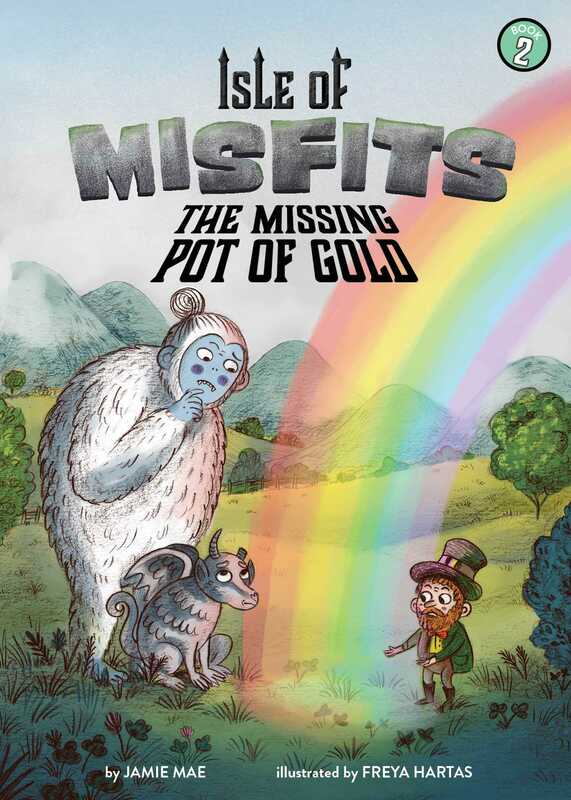 A leprechaun has lost his gold: he decided to find a new place to hide it, since everyone knows it’s at the end of a rainbow, but he can’t remember where he hid it! Will they be able to help him find it before someone else gets to it?